Sayfullo Saipov, the main suspect in the Manhattan truck attack that left eight people dead, says he intended to kill as many people as possible during Halloween celebrations. The 29-year-old Uzbek immigrant, told investigators he “felt good” about the attack, which he had been planning for a year. Sayfullo Saipov, who faces federal terrorism charges, says he was inspired by ISIS. He was shot and injured by police at the scene. The charges filed against Sayfullo Saipov are federal, which means the government can override New York state’s ban on capital punishment. 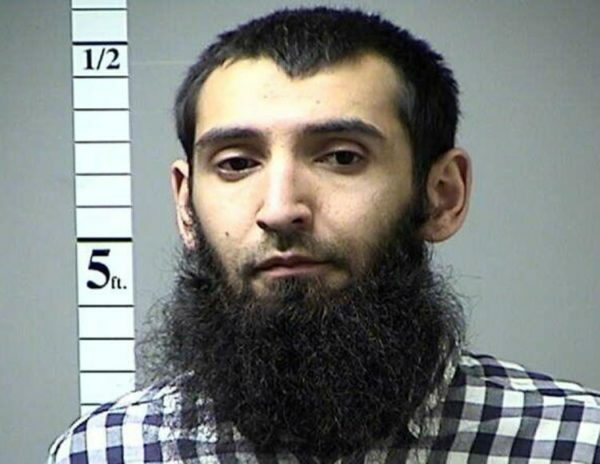 Sayfullo Saipov appeared in court in a wheelchair 24 hours after mowing down cyclists and pedestrians on a bike lane in Lower Manhattan on October 31. Six people died at the scene and two more in hospital. Twelve people were injured, four of whom remain in critical condition. Prosecutors say Sayfullo Saipov spoke freely to them, waiving his right to avoid self-incrimination while in custody. According to federal court papers, the suspect said the attack was planned two months ago, and he carried out a trial run with a rental truck last month. He intentionally chose Halloween because he believed there would be more people in the streets. Sayfullo Saipov originally planned to target the Brooklyn Bridge as well and he wanted to display ISIS flags on the truck, but decided not to draw attention to himself. Sayfullo Saipov was inspired by 90 propaganda videos found on his phone – in particular, one in which ISIS leader Abu Bakr al-Baghdadi asks what Muslims are doing to avenge deaths in Iraq. He is also accused of providing material support and resources to ISIS.